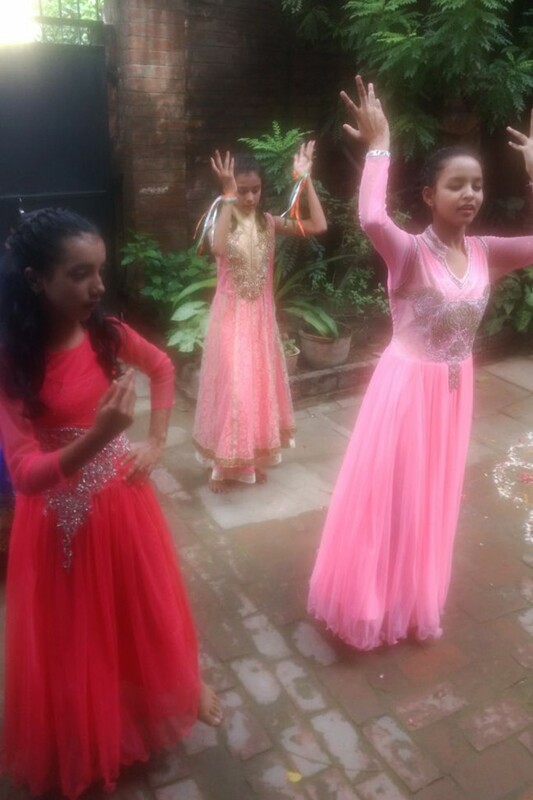 At Naveen School, the festivities have already begun as July and August marks the beginning of celebration and festivals according to the Indian lunar calendar. These months bring in a lot of festivities and joys to the children as well as the adults. It started with Raksha Bandhan this time, which was on 7th August 2017. Rakshabandhan is a festival of bonding with your siblings. 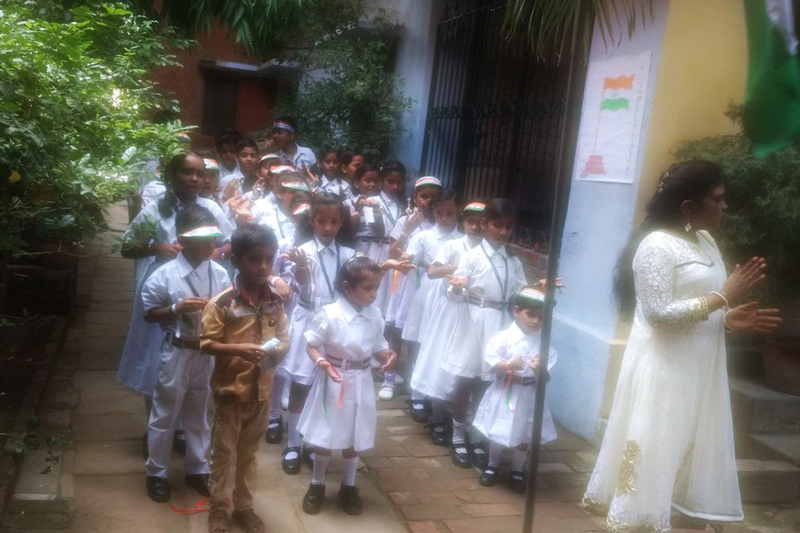 At Naveen School, Raksha Bandhan turned out to be a fun activity where kids were seen making rakhis and posters. 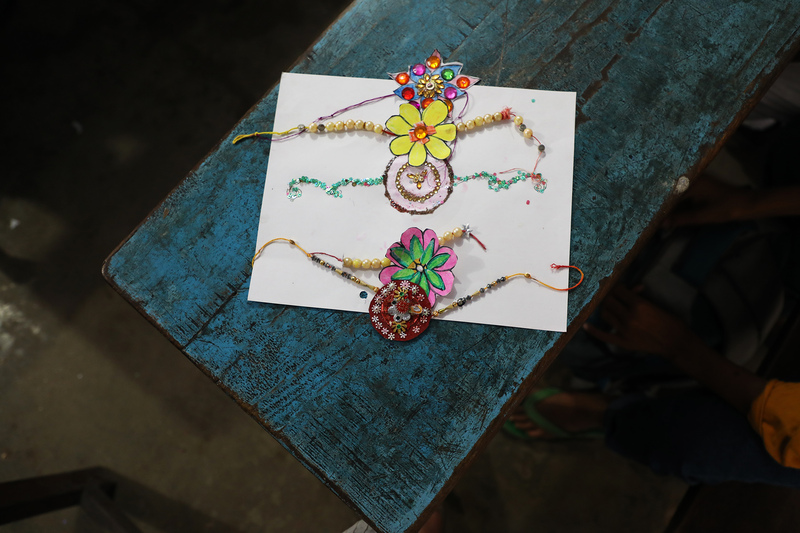 They were left to explore making rakhis and all of them turned out to be really good! Apart from the Rakhi making sessions, they were told about the significance of this festival in the form of stories from Hindu mythology. It is important for the children to know why these festivals are celebrated. It was then followed by Janmashtami and Independence Day. Janmashtami marks the birth of Lord Krishna. However, there was a school holiday on that day. 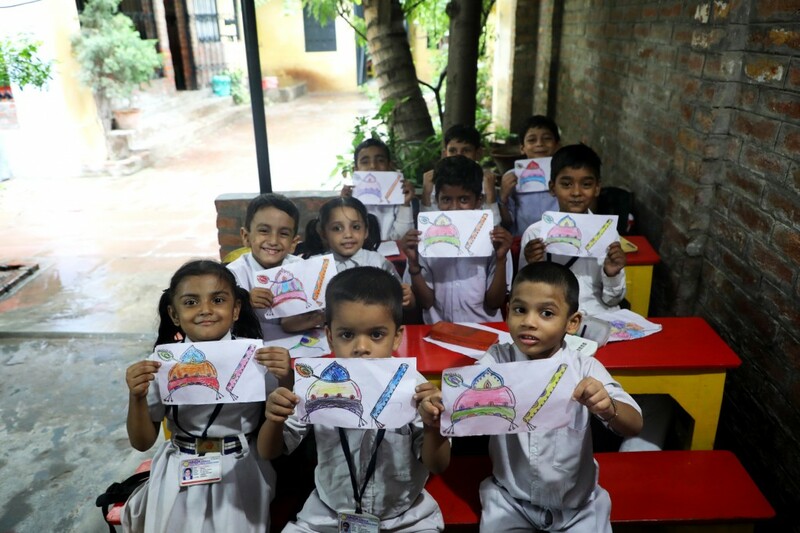 The students in the school were told the stories about Lord Krishna and later as a fun activity, they made drawings of the stories they heard. This year India celebrated seventy years of Independence. It is marked as one of the most historical days in India. 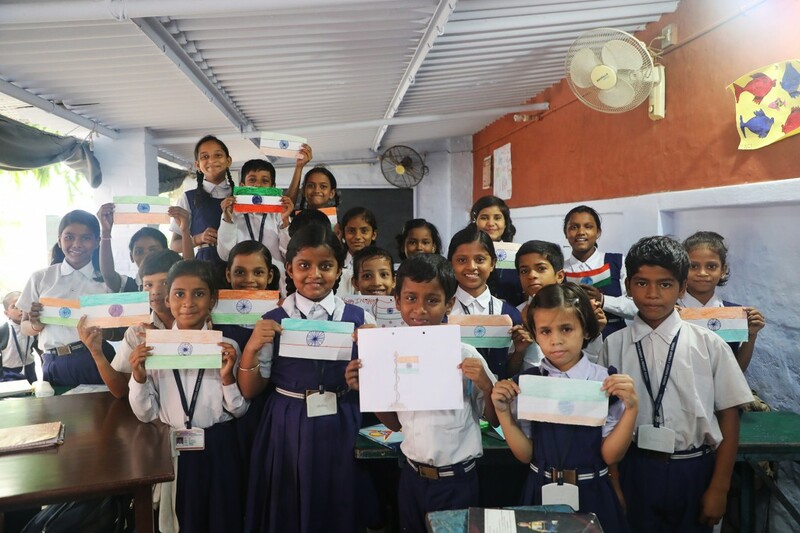 Every year at Naveen School, we celebrate Independence day by hoisting the national flag, singing our national anthem and telling the children about the fight and struggle which led to this day. We also distribute sweets and snacks amongst children. The preparations begin way early at the school where kids are seen making flags and posters for the celebration on the day. They then decorate their classrooms and school with the things they have made. There is a great amount of enthusiasm, which goes into it, and it is so lovely to see the kids with a huge big smile! Special supervision is given to our teachers after the school hours by Vandana where teachers are explained how we want them to approach the children which mean basically in an encouraging and loving manner. Naveen School is in need of a good teacher who can teach English and Science. We also would love to introduce subjects like Qi Gong or innovative arts&crafts methods. Please help us in spreading this news. If you can be of any help regarding this we are glad to hear from you. Thank you! We will get back to you with more updates and happenings at the Naveen School next month! Hope you have been enjoying our latest posts from Varanasi! !